Mr. George Tarabichi Syria A Syrian philosopher, intellectual, critic, translator and writer George Tarabichi has translated to Arabic over a hundred books in the field of philosophy, ideology and psychology including Freud, Hegel, Sartre, de Beauvoir, Garaudy, Kazantzakis and Marcuse’s writings. Through his critical analysis, he was a pioneer in revealing the psychological characteristics in the Arabic Novel. 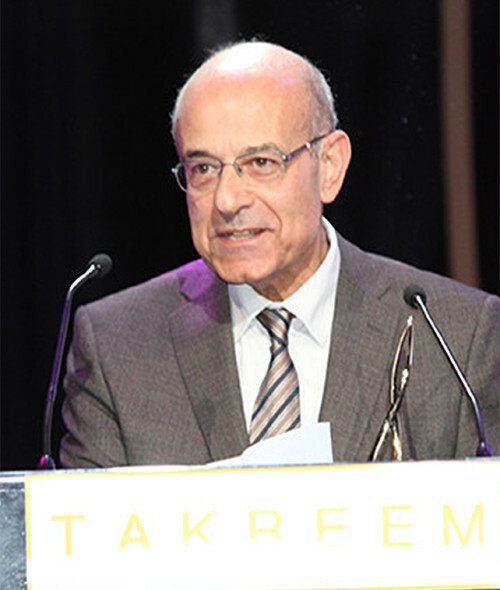 Tarabishi has dedicated over twenty years to writing an epistemological response to the extensive critic and analysis titled “Criticism of the Arabic Reason” by the Moroccan author Muhammad Abed Aljabri. This project “Criticism of Criticism of the Arabic Reason” acquired an encyclopedic dimension resulting in five volumes in two thousand and two hundred pages. Tarabishi attempted to answer if Islam the renunciation from “reason” is an external factor -prejudiced by peer pressure- or is it an internal factor governed by individual and subjective mechanism. Does the Islamic Arabic mind bear responsibility for this resignation. Tarabichi’s intellectual ideology evolves through several philosophical schools of thought, the most prominent ones are: Nationalism, Socialism, Existentialism, Marxism and Individualism. However, for the last 20 years, he has concentrated on the traditional Islamic Arabic studies adopting a fundamental and critical position. Despite the difficult conditions in the Arab world, his position has two dimensions: one imprisoned in the past and another focused onto the present. Tarabichi was Damascus Broadcast’s manager from 1963 to 1964. He became chief editor for the magazines «Arabic Studies« from 1972 to 1984, then for «The Unity« from 1984 to 1989. Born in Aleppo in 1939, Tarabichi earned a Bachelor Degree in Arabic Language and a Master’s Degree in Education from Damascus University. He lived in Lebanon for a short period of time, due to the civil war he immigrated to France where he currently resides being a full-time writer and author.